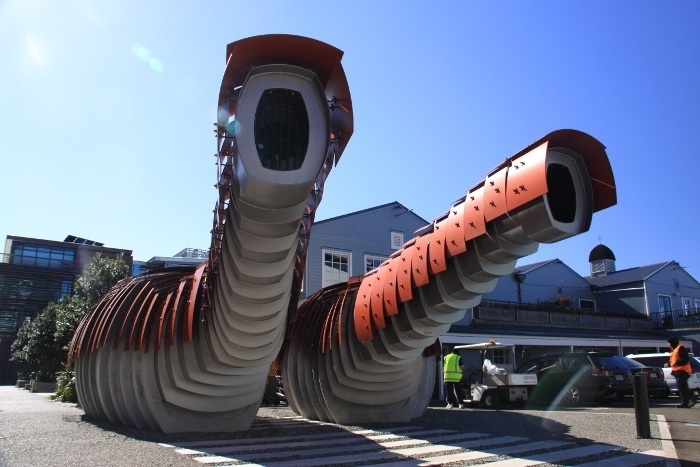 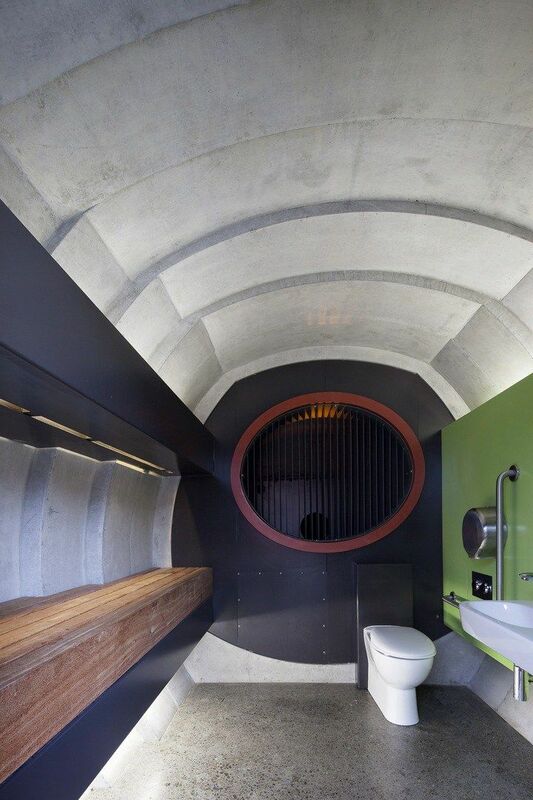 Kumutoto Toilets, Wellington Waterfront - Streetscape Ltd. 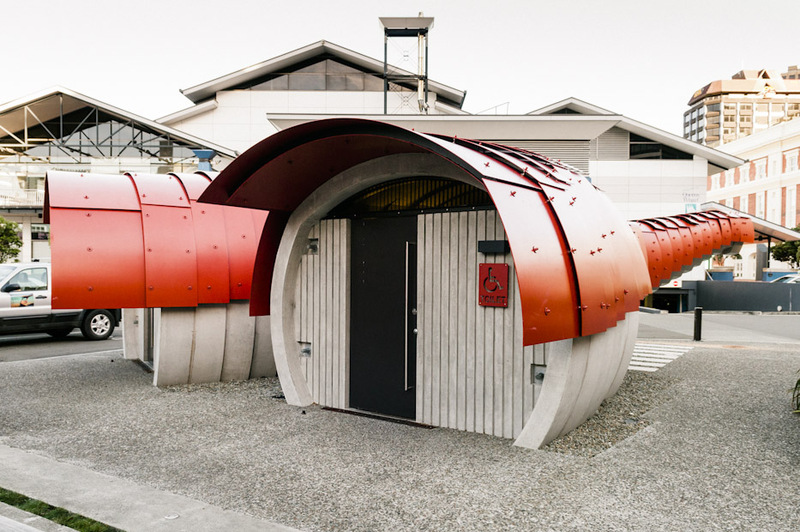 The Kumutoto public toilets are located at the Synergy Plaza in the Kumutoto Precinct. 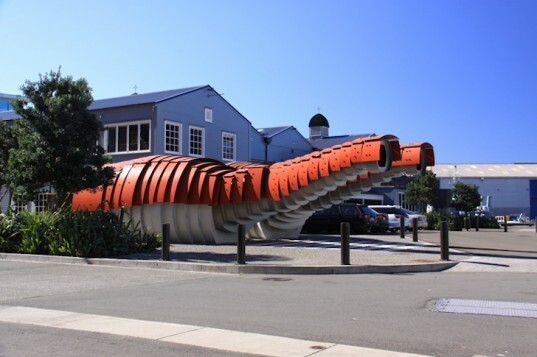 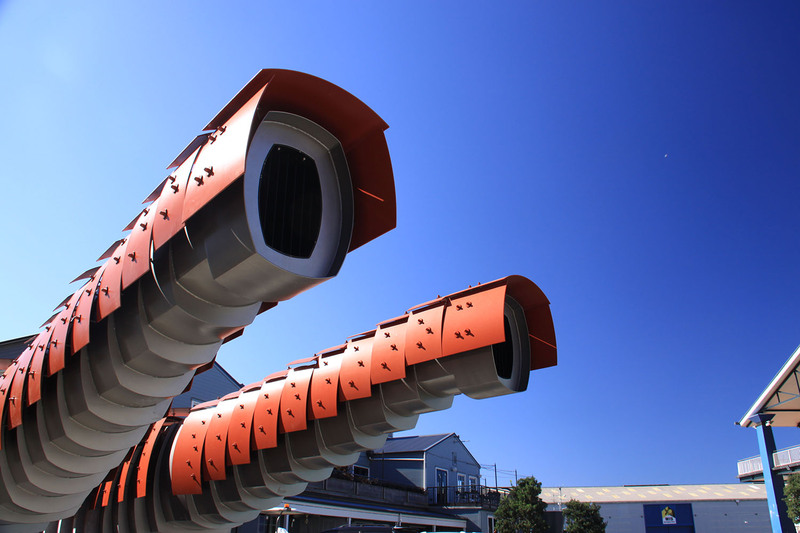 As well as taking into account practical considerations such as security, hygiene and vandalism, the brief was to create a structure with a sculptural form, something iconic, highly visible and unusual that was also well integrated into the visual and historical context of the surrounding precinct. 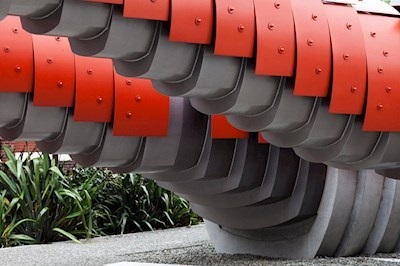 These organic forms, eye-catching and instantly memorable, are suggestive of crustaceans or sea creatures, as if the structure was a kind of fossilised husk that had been discovered and inhabited.